Purifying, use for solace and comfort. 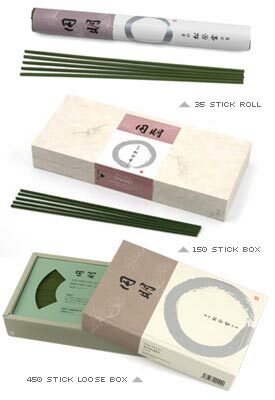 En-mei incense is part of Shoyeido's Premium Daily series - all high quality distinctive incenses that are reasonably priced for every day use. Sticks are 5.25" long with an approximate burning time of 30 minutes per stick. Ingredients: Sandalwood (Santali lignum), Patchouli (Pogostemi herba), Clove (Caryophylli flos) and spices.